Sweets are a real luxury in the 1800s. That’s what gives Luigi Leone, upon opening his laboratory in 1857, the idea of turning traditional candy into digestive pills, recommending to finish off luncheon on a sugar-coated note. Success is immediate, and everyone wants these little buttons of gentian, rhubarb, mint or carnation, so useful for the well-being of the loins. Soon the laboratory in Alba becomes too small, and so, in 1861, Luigi moves to Turin, drawn by its exciting atmosphere. The unification of Italy is coming, and the bourgeoisie meets in cafés to discuss politics and to follow Garibaldi’s exploits. These are golden years for Leone: his fame grows at the same rate as the number of his flavors. The pills take on special colors, which become his signature style. For example lemon, rather than white or yellow, is an attractive pastel green (thanks to spinach chlorophyll) that is distinctive and instantly recognizable. Cavour is a fan of his violetta gumdrops, and soon the Leone brand becomes a synonym for excellence, and a supplier to the Royal House. At the beginning of the 1900s Luigi has another great intuition: he launches the first “walking” boxes, allowing ladies’ purses and gentlemen’s breast pockets to host tiny Liberty-style masterpieces, to be flaunted in public. During the '30s, having grown old without heirs, Leone decides to sell his manufacture. It is bought up by Giselda Balla, already at the helm of a confectionary distributing company, and his main client. She takes the business forward by a leap, by turning it into a modern industry and embracing new products like jellies, fondant, rosolio drops, chocolate, a “dowry” of her husband Innocenzo Monero’s own sweets company. 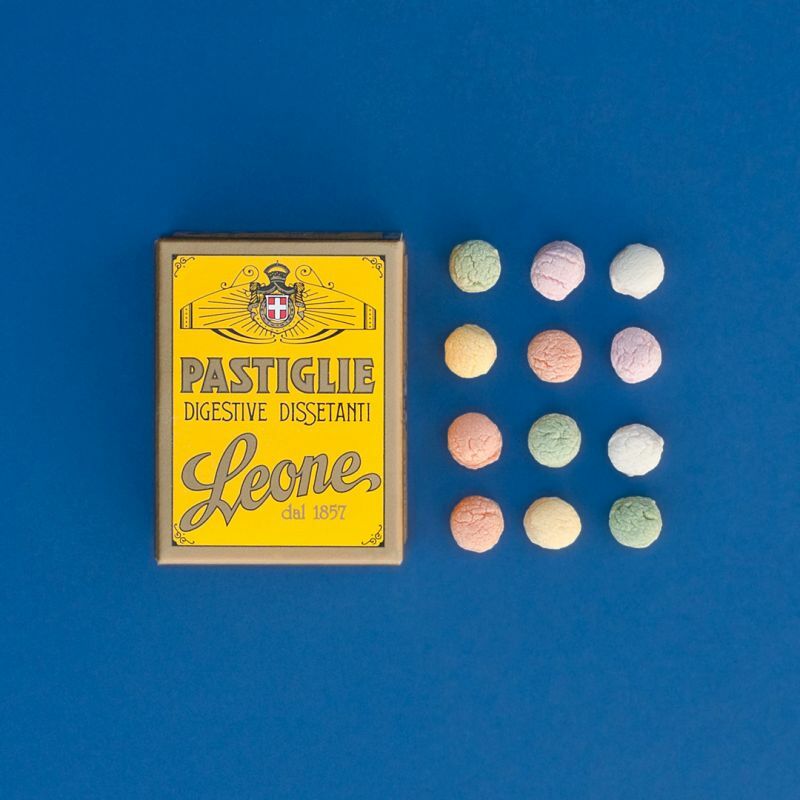 Today the son Guido Monero and his family manage the company, exporting Pastiglie Leone in 53 countries and maintaining an unchanged pioneering spirit that links the past to the future.